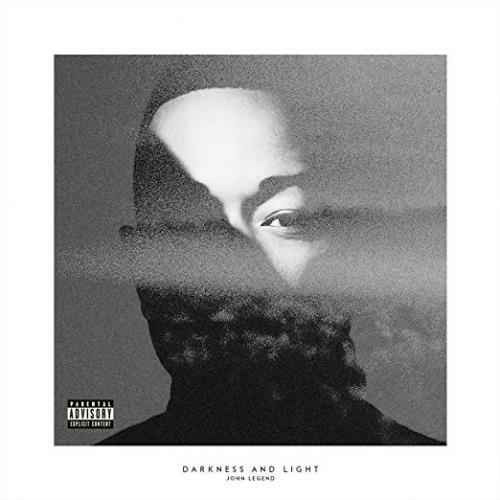 Philly-bred singer, songwriter and pianist John Legend was born John Stephens into a musical family in 1979, the grandson of a minister who spent much of his childhood singing and playing in church. His family moved from Ohio to Pennsylvania when he was a child, and he was playing the piano and singing in the church choir from an early age. The musical influences of his childhood included classic Soul and Gospel singers ranging from Stevie Wonder and Al Green to Shirley Caesar and Edwin Hawkins, as well as more modern acts like Jodeci and Boyz II Men (okay, I'm feeling kind of old when a singer cites Jodeci as a childhood influence). He attended college at Penn and served as musical director at Bethel A.M.E. church for nearly a decade during high school and college. Stephens was introduced by his college roommate to hot young rapper and producer Kanye West, and the two began working together, with Stephens proving himself a fine songwriter as well as a singer and session musician. He wrote the great "You Don't Know My Name" for Alicia Keys as well as a couple cuts from Kanye West's College Dropout album. He also played on albums by Lauren Hill, Keys, Taleb Kwili, Slum Village and decidedly hip-hop artists such as Twista, Jay-Z. He also recorded a couple of solo live albums, which gathered for him a minor following. West signed Stephens to his new KonMan production company, and helped John strike a deal with Columbia Records under the new (and somewhat controversial) moniker, John Legend. Legend narrowed his dozens of compositions to an album's worth, and began working with West and number of big name hip-hop and modern R&B talents in making his debut studio album, Get Lifted. Get Lifted debuted in the Billboard top 5 in late 2004, which is not a surprise anymore for a heavily promoted debut album by a noted hip-hop backup man. The surprise, however, was the Get Lifted was not a hip hop album -- it was actually a real soul album in hip-hop clothing. Listen to "Live It Up" and "So High," and you're hearing Curtis Mayfield or Bobby Womack, and "It Don't Have to Change" is a nostalgic song that is pure church (including a Gospel choir composed mostly of Legend's family). Radio is rightly eating up the excellent mid-tempo "Used To Love U" and the piano ballad "Ordinary People," each of which is appealing to an impressively broad group of listeners, hitting both the hip hop and Urban Adult Contemporary crowds in the same way that Alicia Keys has been able to do. Only occasionally does Get Lifted fall into hip-hop lyrical traps that may turn off some listeners ("Number One" is unfortunate in that regard); for the most part it shows a very talented, young singer who knows his Soul Music history and who is taking it in progressive, interesting directions. It is an impressive debut and could well mark the emergence of an important artist. Legend followed Get Lifted with Once Again, a more conventional pop album with a definite 60s - and some would even say a lounge - feel to it. It won some critical accolades but failed to reach the commercial heights of its predecessor. After a limited release live album, Legend went back in the studio with the goal of again mixing up his sound. The resulting album, Evolver, arrived in the Fall of 2008. Led off by the infectious uptempo collaboration with Andre 3000, "Green Light," the album reconnected Legend with the younger audience and shot into the top five. He followed it up two years later with the ambitious, socially conscious Wake Up, a collaboration with The Roots that received critical acclaim.